I can't think of anything I own that I'm not proud of - but I CAN think of something The Husband owns that I keep begging him to ditch. He has all these ratty, stained and torn t-shirts that he calls "his cooking shirts". I hate them but I understand the purpose but does he need twenty?! Coach needs to get rid of his pillow. Oh how it drives me nuts. It serves no purpose either because it is flatter than a pancake. Why bother? I have no problem getting rid of things! 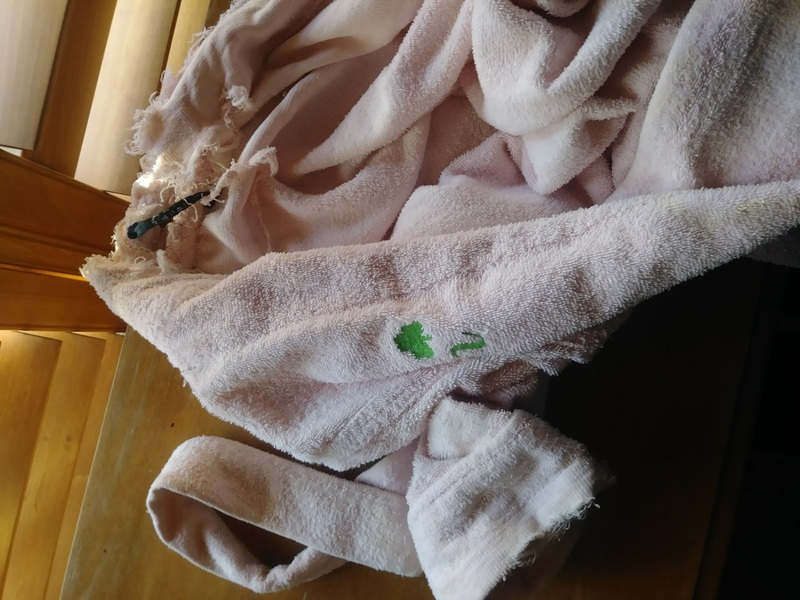 None at all - with that said though, I was just thinking the other day that I needed a new bath robe because my current one is so ratty. BUT - I decided that it wasn't worth it because no one ever sees it anyway!